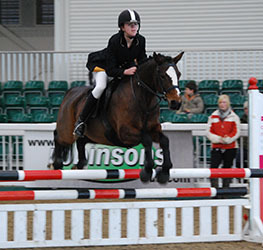 The 2011 Open Potential Showjumping Pony and Potential Eventing Pony Championships will take place on Sunday 18th September as part of the IPS Auction being held at Southview Equestrian Centre, Cheshire. The classes are both open to 4, 5 and 6 year old ponies up to and including 148cms (149 cms with shoes) in height and riders can be any age. Late entries accepted (up to Friday 16th Sept) - £2 per class extra - please to let us know you've sent an entry!! This class will be judged by British Showjumping course builder Gillian Milner and the results of the class will be determined on a score basis with 4 points being allocated for each of the fences cleared and then Gillian will allocated marks out of 10 for each of Style, Temperament and Potential to give an overall score. Should there be 2 or more ponies on an equal score, then they will be split on their Temperament mark. Fences in classes 2 & 3 will be lowered by 10cms for ponies on or below 138cms in height. Entries close on 13th September - late entries are £2 extra per entry. Ponies up to and including 148 cm in height (149 cm with shoes). Open to both BS-registered and non-BS registered ponies, owners & riders need not be BS members. Riders any age; size of rider to be appropriate for size of pony. To be run under BS rules. Entries to be accompanied by a copy of the pony’s pedigree (so that breeding information can be published). Rosettes to 6th place in each section. Sash and extra Rosette to overall Champion; extra rosette to overall Reserve Champion. SPSS Polo Shirt & Cap to rider of winning pony in each class. 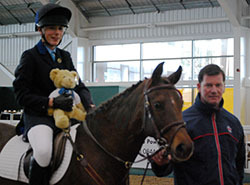 The results of the class will be determined on a score basis with the dressage percentage added to the jumping score. 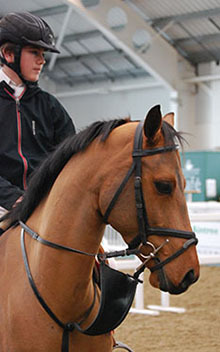 The jumping score will be calculated by points being allocated for each of the fences cleared as well as for the pony’s Style, Temperament and Potential to give an overall score. Should there be 2 or more ponies on an equal score, then they will be split on their Temperament mark. 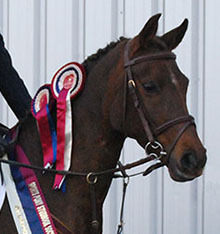 Open to ponies up to and including 148 cm in height (149 cm with shoes). Open to both BE-registered and non-BE registered ponies, owners & riders need not be BE members. To be run under BE rules. 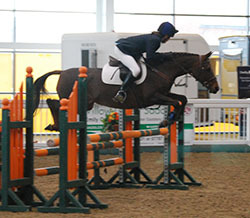 £75 first prize in the 6 year old class sponsored by Goodman Agricultural and Horsebox Engineers, £50 - second, £25 third. Adjustments may be made as entries come in, so times may vary a little. 8.30am Venue open for trials and viewing and anyone wanting to get their pony used to the scenery!